Monthly Giving | What Gives??? What did Steve Jobs have to say about fundraising? I said this in a meeting with a client recently and my boss seemed to really like the phrase. Anything she likes, I like, so I’ll say it again. That’s what Steve Jobs had to say about fundraising. Although, he wasn’t specifically saying it about fundraising… and he may not have said it at all. But that’s what I learned from him. Have you ever heard of Steve Jobs’ product matrix? Or Apple’s “Four Quadrant Product Grid”? Without having done too much research on it, and just recalling from my memory, this grid represents Steve Jobs’ simple – yet brilliant – approach to products. He wanted to give customers choice. But not too much choice. If they were looking for a work computer, they could get one… of two. Either a portable one, or a desktop one. If their computer purchase was for personal use, they had choices! Just two choices: the iMac or the iBook. It’s so beautifully simple. And it’s so important to business, whatever your business is. Do you ever go to the pharmacy and get overwhelmed? I do! My girlfriend goes to Shoppers Drug Mart for me (the popular Canadian pharmacy) because when I go there and I walk down the shampoo aisle, for example, my eyes get blurry, I get overwhelmed, and I want to leave. There’s too many choices! How the heck am I supposed to pick a shampoo?! Then again, what if there was just one shampoo brand? I’d feel cheated! I’d have no agency. I wouldn’t really be making a choice; the choice would be made for me. But what if there was a happy medium? A situation that felt – as Goldilocks would put it – just right? That’s what Steve Jobs’ product matrix is about. Enough choice to feel like you’re making a decision, like you have agency, but not too much that it makes you feel overwhelmed. So how does that apply to fundraising? Well let me take you back to that client meeting I was talking about. The client was really keen to move their mid-level donors to monthly giving, for consistency of revenue, to streamline renewal processes, etc. It was a sound desire, but my boss was saying that we can’t just pull the rug out from under these donors and give them only a monthly giving option. What we had to do instead was two things. First, we need to stop thinking about why WE want donors to start giving monthly, even though it’s reasonable, and instead think about why they could want to give monthly. And not those administrative reasons, and not even reasons having to do with ease, convenience, etc. The reasons have to be inspiring. They have to be donor-centred. It’s our job to make the case for monthly giving, and then sit back and let the donor decide. In this case, the curated choices are likely to be monthly vs. one-time giving. Don’t go crazy adding in quarterly giving options or anything like that. Keep it simple. How do YOU offer curated choice? Let me know in the comments! 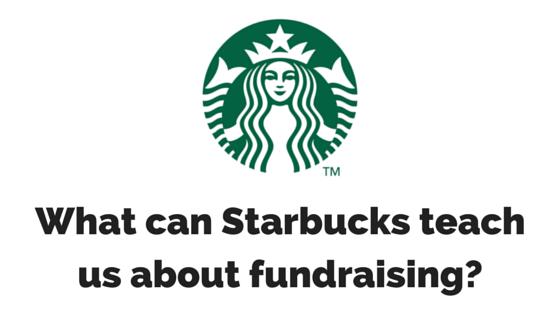 Guest Post: What Can Starbucks Teach Us About Fundraising? Today as I got my morning cappuccino, I noticed Starbucks is running a huge promotion – centred on buying beans, K-cups, syrups, cups and taking the Starbucks experience home. Why would they do this? Isn’t the whole concept of drinking coffee at home Starbucks’ competition? Don’t they want me in their stores? It’s because Starbucks has figured out something many charities haven’t tapped into yet: When you like something, you like doing it in different ways, and at different times. I love going to Starbucks in the morning. I love chatting with the barista about my day as I grab my cappuccino. But I also love a cup of coffee in the office, a quick K-cup jolt in between staff meetings. I love a cup of decaf at 8 pm, enjoyed in my pajamas, on my couch. Having options makes me drink more coffee, not less. When did we start thinking of this as a competition? When did we become so entitled? When did we start thinking we owned our donors? Like they are our property? They are not YOUR donors, you are THEIR charity. That means you have a responsibility to put aside the egos and the silos, and do what is best for the DONOR. You need to trust each other enough to help one another, and to make smart decisions about how to offer your donor the chance to give and be involved in all the ways THEY choose. Because if your donors love your cause – the way I love coffee – they are going to choose to give in different ways, at different times and in different amounts. Good customer service means you make sure those options and choices are there – when THEY want them. Then sign up for this webinar today: Breaking Down Silos: Great Ideas that Drive Integration & Results! Out of the box creative is more than just a crazy concept from your Creative Director – creative innovation can help you connect with new audiences, help cement your relationships with the donors you already have and drive increased results. See how informed strategy and inspiring creative helps you to innovate and truly integrate channels and messages that resonate with your target audiences. See how you can break down internal silos and drive results for your own organization! Seats are limited! SIGN UP NOW! This post originally appeared on the GoodWorks Co Blog. Friend(ly) endorsements are why websites like Yelp, Reddit, RedTagDeals and other consumer-driven or reviewed programs work. People seek out people, just like them, to learn the pros and cons of just about anything. So why would it be any different in the nonprofit world? If this process works, than a nonprofit endorsement would come from your bestie, not someone who graces the red carpet. And a bestie endorsement is going to get a Gen Y talking and donating. An easy way for charities to do this is by profiling a ‘celebrity’ donor! BUT, when we talk about profiling donors to make nonprofits seem more human and relatable… who are you profiling? Are you profiling a 42 year old bank executive mother of three? A 70 year old long time donor? A couple who made the decision to donate a cool 1 million? These probably aren’t the celebrities that are going to get Gen Ys donating to your cause. Maybe, a profile of Suzy, a Gen Y donor who just bought one of Plan Canada’s outside the box holiday gifts is the celebrity you’re looking for. Suzy, graduated with a B.A. in history from Western University and is now working at a social enterprise downtown (um cool), is active online and is probably someone’s bestie. Suzy is going to share her celebrity profile on all forms of social media. Her friends are going to ‘like’ it. Maybe retweet it. Some of her friends may post how proud they are of Suzy on their walls. Suzy’s friends, who trust her, may ask her about why she donated to Plan. Perhaps they will be willing to donate when Suzy’s chooses Plan as her charity of choice for her upcoming half marathon. Perhaps Suzy will stay on board as a monthly donor because she feels recognized as appreciated as a gift giver. Is this a lot of maybe talk? Yea, it is. But maybe, treating Suzy like the philanthropic celebrity she is will work. Reddit – (reddit.com/r/Charity/) and (www.reddit.com/r/nonprofit/) Where regular celebrities share information about charities, fundraising, upcoming projects, and ideas. You may find the PR story of the century or a new way to connect with donors. Scope utilized Reddit’s Ask Me Anything forum and created a safe space for users to ask, Alex Brooker, a disabled journalist questions as part of their #endtheawkward campaign. Charity Water’s website has a whole page dedicated to people who have donated their birthdays. 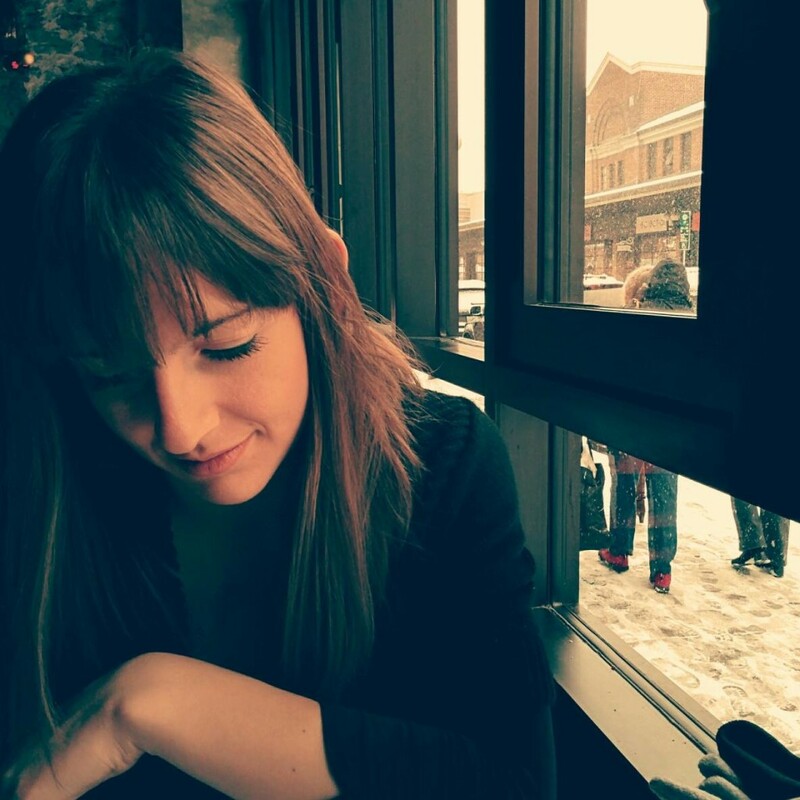 Carolyn Hawthorn is a young professional working at Harbourfront Centre as a Business Development Officer and sits on Ronald McDonald House Toronto’s Young Professional Committee as the Fundraising Chair. Past professional experiences have seen her at The Terry Fox Foundation and Movember Canada. Howdy! I’m Philip. I’m a fundraiser working for an agency that is partnered with social service agencies from Victoria to Halifax and everywhere in between. I’m grateful to Maeve for inviting to me post here on What Gives Philanthropy. I’ve written this post with homeless shelters and food banks in mind—mostly because that’s my space these days. Regardless of your vertical, I hope you find value in this post. Many nonprofits believe monthly donors are savvy, right-brained decision makers. This may be true of some donors, but certainly not for all donors. The fact is your top monthly giving prospects will be plucked from your single gift program. These donors feel a connection to your fundraising offers of food, meals, and shelter—they’ve demonstrated a desire to support basic needs. The best monthly giving offers are those that are scalable, can be upsold, and inspire a deeper connection to your mission. At the core of an inspiring offer is the promise that donors will have greater impact in changing lives for the better. Monthly giving will reduce (or eliminate) those annoying and frequent solicitations you get from us. Here’s what’s problematic with those offers: the former is focused on payment frequency and the latter is focused on reducing intrusions. Neither offer is scalable or emotionally moving. Do they work? Yes, sometimes. Are they best practice? Absolutely not. If your single gift donor file was built on offers to feed, shelter, and otherwise care for hurting, needy people, then you need to think about how your monthly giving program can extend those basic needs offers. How can this be applied to your nonprofit? Provide hot, nutritious meals to the homeless: your gift of $29.70 each month will provide ten meals to our homeless neighbours in Toronto. Provide hot, nutritious meals plus service X: your gift of $40 each month will provide ten meals and access to emergency shelter to our homeless neighbours in Toronto. Respond to urgent needs: your gift of $X each month will help us respond to the needs of our homeless neighbours. Your gift will provide emergency shelter during extreme weather warnings, expanded drop-in hours, emergency food bank purchases for difficult-to-stock items like milk and peanut butter, etc. In all three examples the offers can be scaled (e.g. : be it adding on to provide counseling, vocational training, addictions recovery, etc.) upsold (e.g. : for an additional $Y each month, you can help Z more people), and have an emotional resonance that will connect with donors en masse. Successful monthly giving programs sell solutions that address basic needs because that’s what people relate to, that’s what they understand. More nonprofits are looking to convert recently acquired single gift donors to monthly giving. Conversion of these donors, following a solid welcome strategy, solidifies second gift conversion and shortens the payback period for the single gift acquisition program. Look to past annual giving trends for each individual. If a donor’s annual giving exceeds $400, a $29.70 monthly ask amount would downgrade their giving. The offer to each donor should, at the very least, be a same grade. The challenge here is: conversion to monthly giving with an upgrade can yield fewer responses. Generally, fewer donors commit to a $50 per month ask versus a $15 or $20 per month ask. Ignore past annual giving trends temporarily to focus on conversion. In this approach nonprofits go the route of presenting a low initial ask (e.g. : $15 or $20 per month). Despite the downgrading of annual giving, the strategy here is to merely convert single gift donors to the monthly giving program. Many nonprofits have come to realize these donors can be easily and quickly upsold under the banner of increased impact. Critical to this strategy is a nonprofit’s commitment to upgrading these donors within six to eight months—this is, of course, in addition to the quarterly single gift appeals they should receive. What donor segment has the best conversion rate: existing donors or new donors? Does payment type affect response? For example: would credit card preferred donors convert better than cheque preferred donors? What offer and ask amount will yield the highest response? You can ensure the growth of your monthly giving program through the lessons learned during the testing phase. It’s meant to help you avoid false starts and to quickly determine a winning strategy. Oh boy, I may get in trouble for this, but here goes… Creative is important, but fancy creative alone doesn’t win hearts and wallets. Your creative strategy for monthly giving (frankly for everything in fundraising) needs to be centred on making your donors the heroes/heroines of change. Giving societies (circles, or groups) are not, in and of themselves, persuasive offers. Selling benefits, for example: reduced mail volume, invitations to special events, and premiums (e.g. : a t-shirt) are not inspiring. The best creative tells an emotional story of one person’s need(s), spotlights a solution, and asks the donor to help right away. Feature a compelling call to action. Do this by communicating a degree of urgency, yet positioning the donor as powerful in addressing the need. Think of your organization as the conduit to change and donors’ financial sacrifices as the sparks of change. Now, get cracking! There’s work to be done! A direct marketer since 2002, Philip has worked in fundraising for the past 10 years. 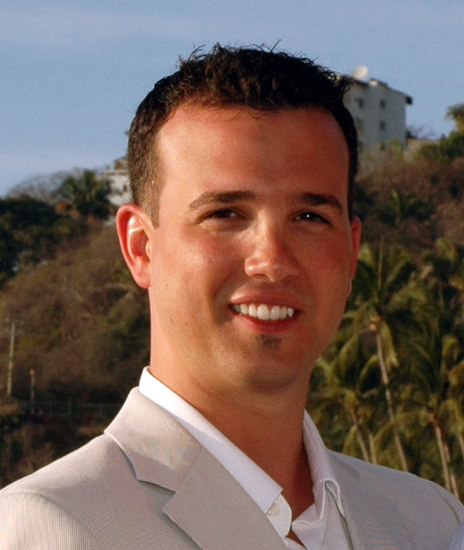 Philip Tomé is an Account Director with Russ Reid, North America’s leading direct response agency serving nonprofits. During the past four years, Philip has helped nonprofits across Canada raise more than $60M and acquire 200,000 high-value donors.